CardExchange® Producer Print Dispatcher Edition offers print farm solutions with load balancing printing. Through the use of port numbers, the individual Print Servers are connected to the Dispatcher, registering themselves automatically when both are running. The Print Client sends the jobs to the Dispatcher which in turn distributes them to the available Print Servers. See the 'SBS Dispatcher and Server Layout Examples' document in the downloads tab for more information. 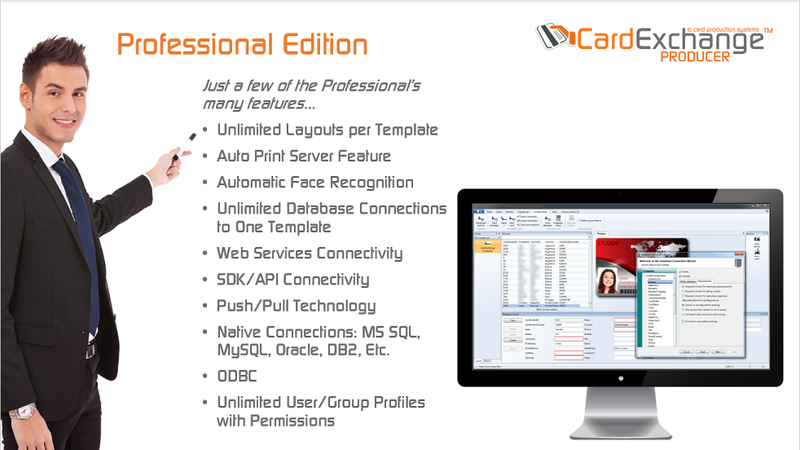 CardExchange® Producer Print Dispatcher Edition comes as 1 license and there are no limitations with regards to the amount of Dispatchers that can run on one system. 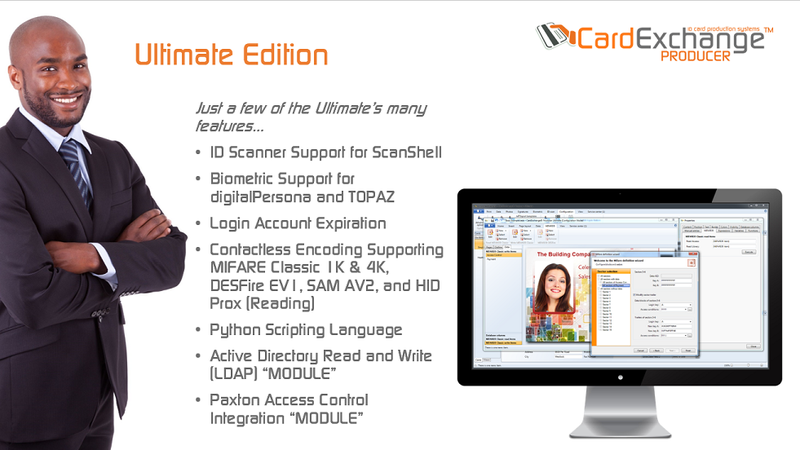 The CardExchange® Producer Print Dispatcher Edition, in combination with the Print Server Module, creates the perfect solution for large card production and issuance facilities. access to all the available functions of CardExchange® - no limitations!